It occurred to me that the food vendor and restaurant gifts I am offering as prizes in the Menu for Hope wouldn't travel far. Because I have readers all over the globe, I wanted to tempt donations from them too, by featuring a selection of delicious food books that can be won by anybody with a mailbox. Mary Risley, the amazing founder of Tante Marie, a private cooking school in San Francisco already does a huge amount of work for good causes. She founded Food Runners, an organisation that takes surplus food from businesses and feeds it to the hungry, here in San Francisco. That didn't stop Mary from generously meeting my request for prizes. 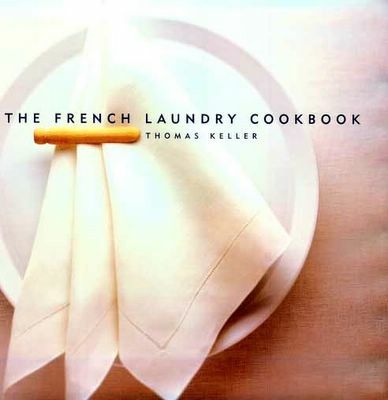 First up is her cooking book - a selection of 250 recipes - which I am sure you will love. Visit this site again tomorrow to see what other goodies Mary has up her sleeve. The rest of the book prizes have been donated by me. Talking of Burnt Caramel Pot de Creme, the best dessert I tried last year in San Francisco, bar none, was exactly such a thing, at Zuni Cafe. 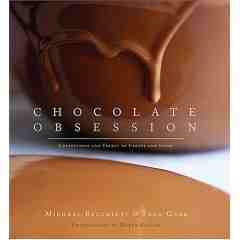 Now I have to admit - I don't actually own this recipe book - I don't need to! If I need a fix of Judy Rodgers cooking I can just go to her restaurant. But for those of you who have more than a couple of miles between you and her classic New California cooking then the book is the next best thing. 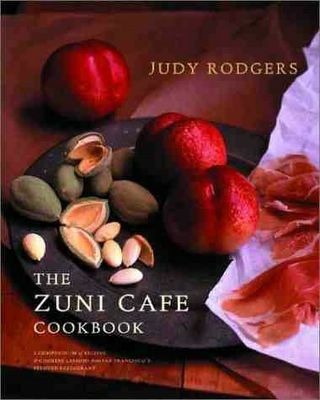 If you win this prize, then soon you can be making her famous Zuni Roast Chicken with Bread Salad too. For the chance to win this fabulous prize, please donate to Unicef by clicking on the following button. You will have one entry for every $5 you give. Important - If you would like to win this particular prize, please be sure to specify "Bay Area Food Books" in the comments section when you make your donation. Please return to this site tomorrow and Thursday to find out more about the third and final prize I have on offer. PS. Come back tomorrow to find out more about my final Bay Area Hopper prize. Check yesterday's post if you want more details about the Ferry Building Bonanza prize. Just FYI the Forbidden City is a kind of walled compound in Beijing where I believe the Chinese emperors lived away from the peasants. I've been there, not inside the compound, but I've seen the walls when I was visiting Beijing. Maybe I will do a little Google research and see what else I can find out the Forbidden City and edit it into the post. Thanks for asking. I'm so impressed at the number of bloggers involved, and the amount raised so far. Hurray! Glad to give to the cause. I've arranged fundraising type things before, and I know all the work it takes to solicit donations, etc., so kudos to you (and Pim and the others) for all of your hard work.